For thousands of former Sathya Sai Baba followers worldwide, there is no celebrating the late would-be ‘Avatar’s’ birthday on 23 November. 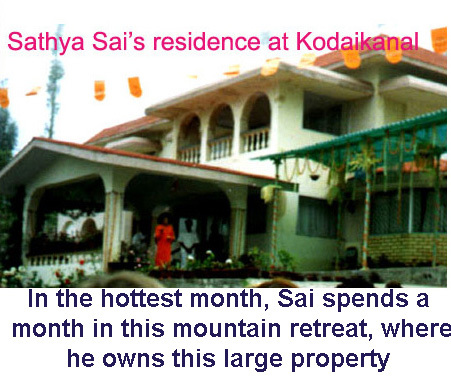 Often without formally resigning, countless left his international Sathya Sai Organization. Many who had thought to join it did not do so. The cult is in terrible disarray. I worked hard, as any conscientious teacher does, to see that the utmost dedication, trust and skill served them as of their complete birthright. I was at my most idealistic – More than just a work force, I wanted to see the building of a soul force. After my introductory remarks, I have selected a number of my articles about the various Sathya Sai Baba birthday celebrations, mainly since 2007. The Organisation is deeply concerned about widely reported allegations of sexual abuse involving youths and children that have been leveled at the leader of the movement in question, Sathya Sai Baba. 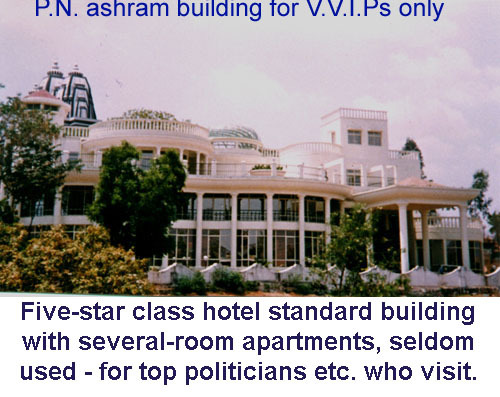 Certain decisions were taken by the Institute of Sathya Sai Education without consultation, such as plans to hold some of the sessions at the Ashram of the Sathya Sai movement in Puttaparthi, and the inclusion of some speakers in the conference programme without their previous consent. Furthermore, the Organization is deeply concerned about widely reported allegations of sexual abuse involving youths and children that have been levelled at the leader of the movement in question, Sathya Sai Baba. 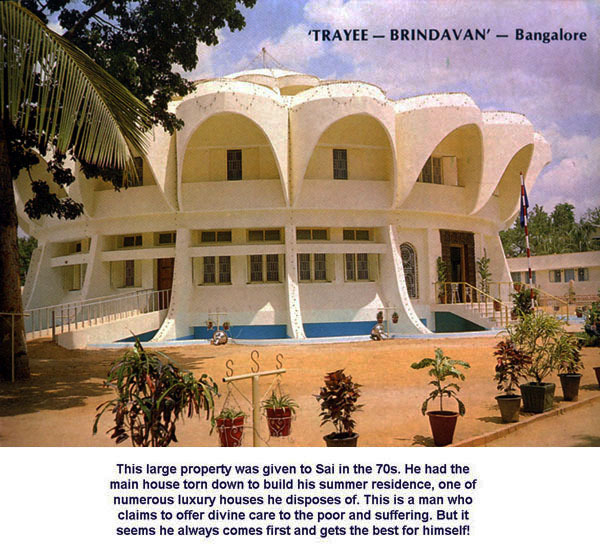 From the moment members investigated the criminal allegations and spoke against the international Sathya Sai Organization’s extreme lack of accountability and transparency, many in the Sai cult labeled and defamed them. 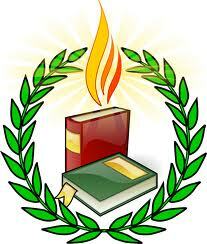 Commonsense – what to speak of spiritual qualities of truth, right conduct, peace, and love – disappeared. Here was an organization, which has public meetings, and which actively cultivates mainstream civic, educational and religious organizations, governments, politicians of major parties, etc. And yet it refused all proper accountability processes. Let any other guru or organization be accountable BUT …. not this one. In typical places, like car parks, shopping centers, workplaces etc., family and friendship affiliations, devotees shunned and maligned those who questioned – those, indeed, whom they had known for decades as truthful, decent and dedicated to high ideals and actions. Terrible attacks on the former devotees sprang up on the internet and in wider communities. 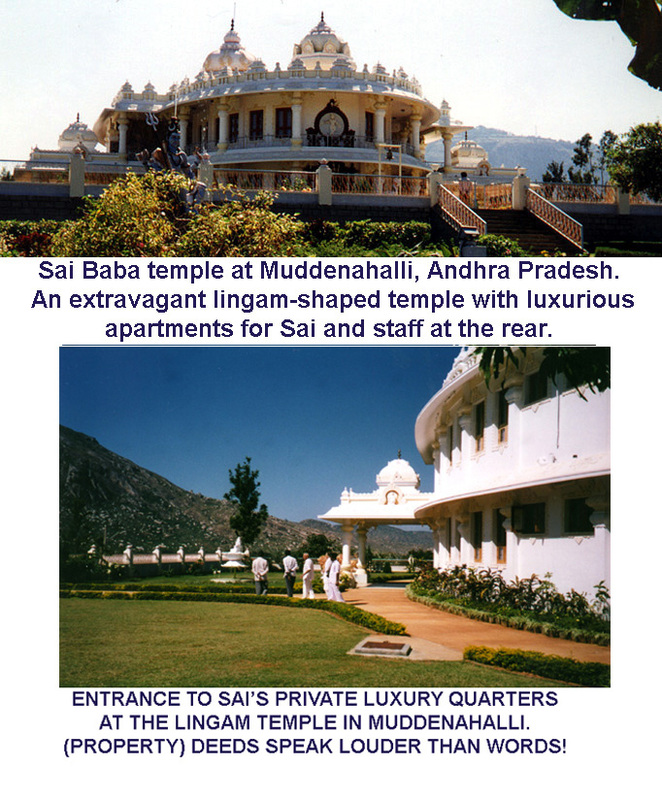 scams conducted via the Puttaparthi front office, about which Sai Baba refused to act, telling deeply hurt, scammed devotees e.g., “What can I do? My hands are tied”. To which behavior, many devotees who knew the appalling facts, simply replied e.g., “It is all Swami’s leela” (God’s playfulness). “That age has its physical and mental ravages is not the point here. Who is not privy to these? …. 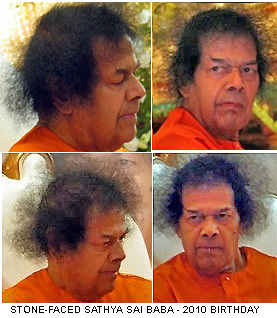 To which Shakespeare’s Hamlet refers in his famous soliloquy – … “The heart-ache and the thousand natural shocks that flesh is heir to.” The only point here is that Sathya Sai Baba has made demonstrably unreal and false statements in regard to prophecies about his own physical state. Posted November 22, 2009 Sathya Sai Anger Mismanagement as demonstrated by Sathya Sai Baba’s international chairman Dr Michael Goldstein of Corvina, California, USA. 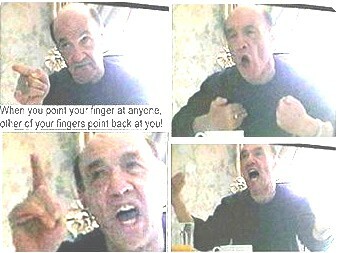 A BBC hidden camera (in the making of the hour-long documentary that has been seen in many countries, ‘The Secret Swami’ (2004), exposes Goldstein using appallingly bad arguments, and getting angry at the interviewer Tany Datta’s most politely-asked questions. So serious was the compelling mass of evidence from around the world of Sai Baba’s commission of many instances of serious forms of abuse (including that of boys and young men), and the extreme lack of transparency and accountability of the Sathya Sai Organization, that the BBC producers gained a very sparingly used sanction from the highest levels of BBC Management. See: BBC Hidden Camera in ‘Secret Swami’. Ethical? Many have heard and read where he says that the world will be under his rulership, and that he will return in the name of Prema Sai Baba to complete this work. In a 1961 Discourse, he said: “I shall be in this body for 58 years more; I have assured you of this already.” (Sathya Sai Speaks, II, 18:92.) A year before, he said: “I will be in this mortal human form for 59 years more and I shall certainly achieve the purpose of this avathaar, do not doubt it. I will take My own time and carry out My Plan as far as you are concerned.” (I, 31:198; Prashanthi Nilayam 29-9-1960 – second discourse) Both these statements indicate a death date 2019 (although he would not use the ‘word’ death) of 2019. Other statements in official publications confuse the issue by stating 2022. As part of his extensive and challenging opus on Sathya Sai Baba, the Australian academic Brian Steel has written about questions surrounding Sathya Sai Baba’s birthdate. This appears in Chapter 5 of his ’Omniscience and Truth’ (Revised and Enlarged Version). 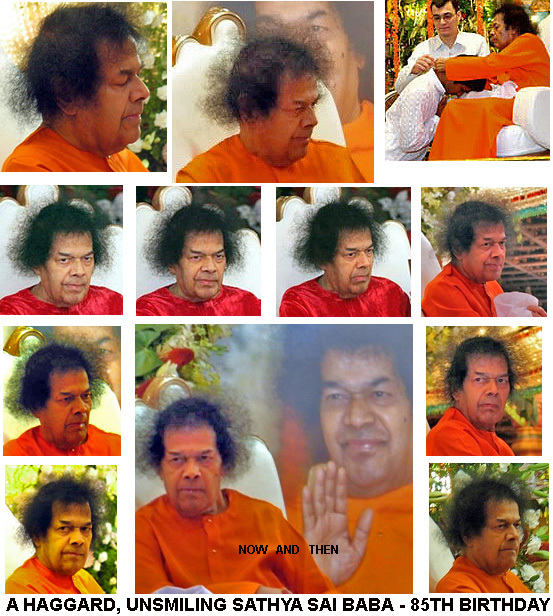 As this Chapter is long, detailed and deals with a variety of topics, I have extracted, to coincide with Sathya Sai Baba’s November 23, 2009 birthday celebrations at Puttaparthi, the relevant section. …. representatives of the major world faiths, whom Sai Baba has long said he is bringing together in amity, are, yet again conspicuously missing from those visiting the ashram in 2009. Here is the so-called “All Faiths” obelisk, the “Sarva Dharma Stupa”. 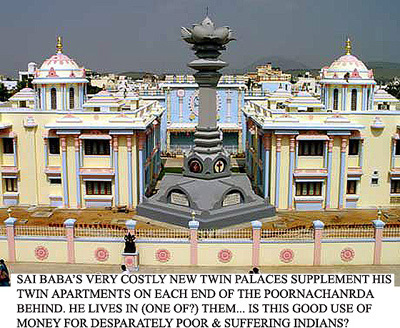 Mostly vacuous in terms of Puttaparthi’s reality, it has long stood at his main ashram, a waste of money in a wasteland of shame. Pride is said to come before a fall. 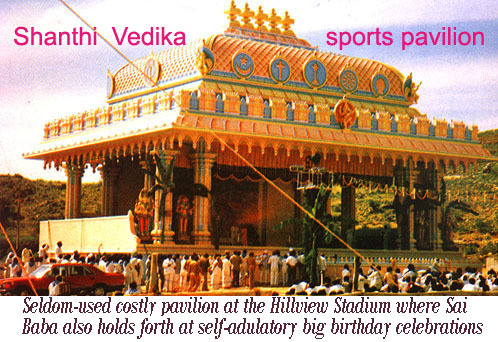 In the case of Sathya Sai Baba puffery and proudery now come during a fall, since we are now better placed to see the imperial decay suggested in my article The Decline and Fall of The Showman Empire. (For the busy reader, there is a condensed version, Sai Baba’s Undivine Downfall). 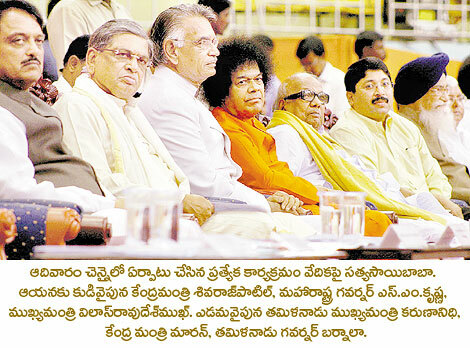 Allegations concerning Sathya Sai Baba A wide range of serious exposé articles. 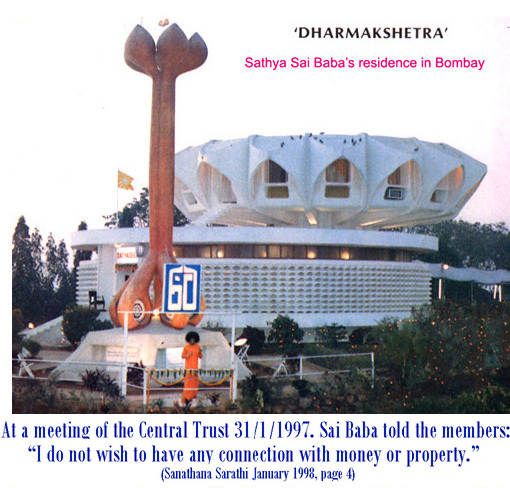 Ongoing Investigations into Claims and Realities Surrounding Sathya Sai Baba – a thoroughly documented scholarly website by Brian Steel. Other European languages German exposé website – Polish – Russian. 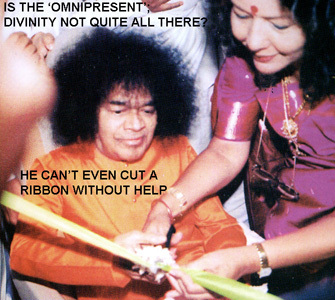 Belief and Sathya Sai Baba: Avatar or Imposter-Trickster? This entry was posted on November 22, 2012 at 2:41 pm	and is filed under Uncategorized. Tagged: Andhra Pradesh, Brian Steel, Child Abuse, Crime, Cults, Glen Meloy, Hari Sampath, Opulence, pedophilia, Puttaparthi, Robert Priddy, Sathya Sai Baba Birthday, Sects, Sexual Abuse, Tanya Datta, The BBC's 'The Secret Swami', UNESCO. You can follow any responses to this entry through the RSS 2.0 feed. You can leave a response, or trackback from your own site. An impressive overview, Barry. And a necessary thought of sympathy for all the victims, who have little to celebrate indeed, as well as a fully deserved tribute to the few torch bearers, like you, Robert Priddy, Glen Meloy, Brian Steel and Hari Sampath, who got vilified and ostracised in a decadelong process of unraveling and unmasking cover ups and trying to present irreffutable evidence of malversation and wrongdoing, in a well-informed, well-mannered, succinct and scholarly fashion.